Saint Petersburg is known as the most European Russian city – in terms of architecture, but also lifestyle. Nevertheless, running an antenna is not always an easy thing in the Baltic Sea city. Especially travelling abroad can be tricky, because it often requires tedious and costly visa procedures. In the fourth part of the GT series “Living on the edge of Europe”, Anna Smirnova, former secretary and now supervisory board of AEGEE-Sankt-Peterburg, gave a lot of insight. Anna Smirnova: Well, European-minded is a bit tricky word to define… Most people living in Saint Petersburg are open-minded and share the European values. Regarding students, we can say “yes”, for sure. Obviously, exceptions exist. Anna: AEGEE-Sankt-Peterburg was founded on the 23rd of April 1993, so we will celebrate our 25th anniversary on the first day of Agora Kraków! We have around 85 members now. 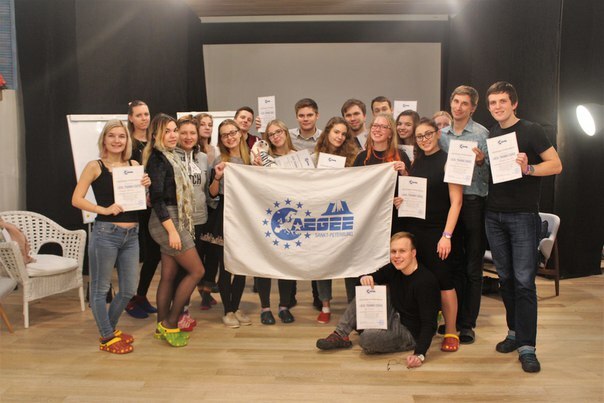 AEGEE-Sankt-Peterburg was voted 7th best antenna of AEGEE in 2017! Anna: There are a lot of universities in our city. It’s an advantage and disadvantage for us at the same time: there are many potential members, but it requires more resources. 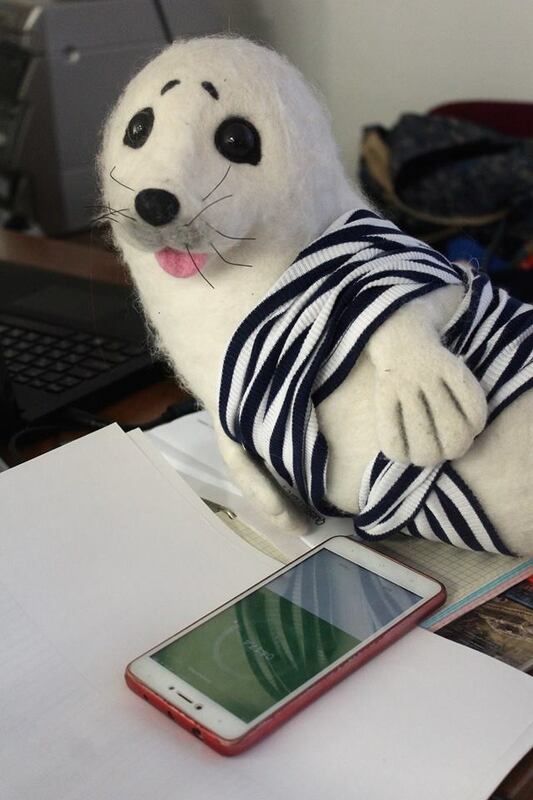 There are difficulties like visa requirements, lack of cheap ways of travelling and a really small student fellowship, thereby we have a high average age of our members – but it is possible to handle these challenges. Anna: Due to the location of our city, we usually explain all known cheap ways of travelling. For example, you can take a bus to the closest big cities in Tallinn, Helsinki or Riga. If you are lucky, you can get it even for 7 Euros! From there you can take flights for a lower price. Also we show the differences between self-organised trips, travel agencies and AEGEE trips. Usually it works! 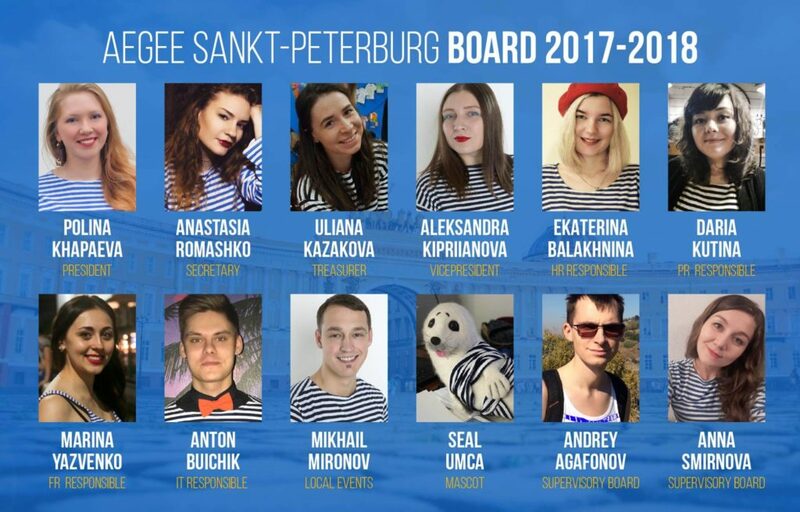 The current board of AEGEE-Sankt-Peterburg. Anna: 200 Euros for a return tickets from Saint Petersburg by plane is a good price. You can find cheaper options from Moscow or the closest European cities. In general they won’t cost less than 100 Euros anyway. Anna: We got used to the procedure; we have no choice! For the last two years we lead our newbies through the visa procedure. We have a common chat where people can ask questions and share their experience, we also have a written guide with general rules of visa procedures and advice. 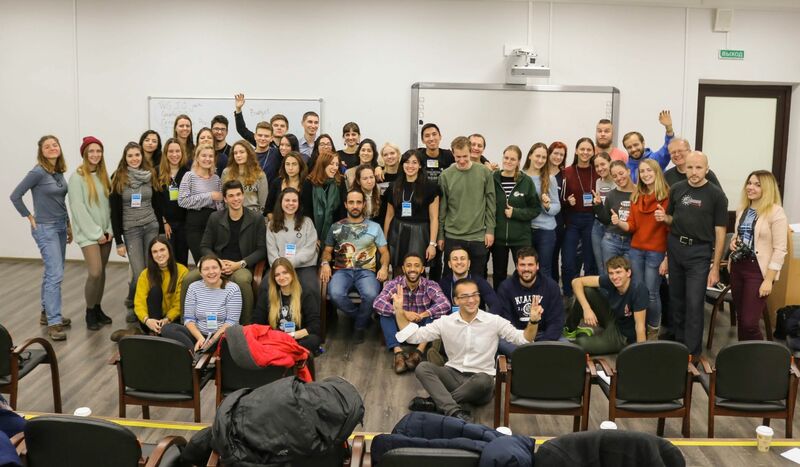 In autumn 2017, AEGEE-Sankt-Peterburg successfully organised a great Network Meeting. Anna: Yes, we are lucky in that aspect. The close proximity to Finland and the Baltic countries gives us the opportunity to travel cheaper and influence the European-mindedness of the people. Anna: 30 foreign members, if we have only one European event per year. In 2017 we were visited by 62 foreign members. Apart from events, often we are visited by members of other antennae on their trips. Anna: There was no cooperation in 2017, but we are good friends with AEGEE-Moskva. And spoiler! We are going to take part in the twin-antenna project! Anna: We are one of the hosting locals of Europe on Track 2018, we will organize a Summer University and we have some plans for autumn. Anna: We love Saint Petersburg and it’s hard to say that we feel ourselves at the edge of Europe, both geographically and mentally, being in one of the most European cities in Russia. But of course we wish to reduce the visa barrier and easier access to the whole of Europe, especially when you have friends and great activities all around Europe!